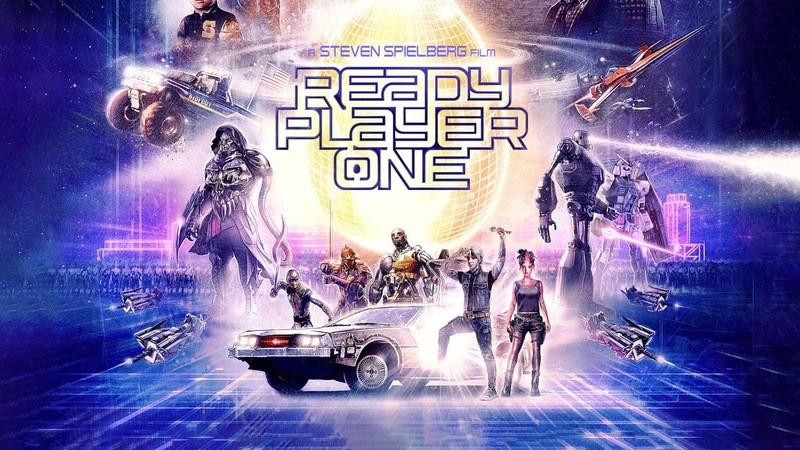 Steven Spielberg specified at the SXSW premiere of Ready Player One that his new sci-fi blockbuster is "movie", not a "film". As silly as some might find the distinction, it's one we've long accepted, and it's important to keep it in mind when watching Spielberg's latest. He just gave us a great "film" with The Post, a deep, relevant and meaningful drama. Of any film film in Spielberg's filmography, Ready Player One most closely resembles the original Jurassic Park: it's a piece of escapist entertainment that takes us somewhere we've never been and gives us an entirely unique experience. The criticisms that are being levelled at it are the same ones that faced Jurassic back in 1993 but are rarely brought up now that the film is justifiably viewed as a classic: The characters and story are lacking in depth, and it's really more a collection of amazing set pieces than a dramatically structured story (a criticism it must be said could also be made of Raiders of the Lost Ark, our favorite movie of all time.). Spielberg doesn't make these kinds of "movies" nearly as frequently as he used to, but he demonstrates here that his ability with them remains unsurpassed. He can still create a spectacular action thrill ride set piece better than anyone, and there are a couple in Ready Player One that will join the truck chase from Raiders and the T-Rex attack from Jurassic Park in the pantheon of revered Spielberg scenes. If the thrills and fun aren't accompanied by the deeper characterizations and resonance of recent blockbusters like Star Wars: The Last Jedi and Black Panther, that's because they aren't really meant to. Parzival and Art3mis visit the Halliday Journal Library. Even though the movie runs a bit long at 2 hours and 20 minutes, the pace never lags, but isn't quite so relentlessly breakneck as to leave the audience feel dizzy or overwhelmed. And there's some very welcome humor, much of it coming from T.J. Miller as i-Rok a sort of cross between Boba Fett and Comic Book Guy from The Simpsons' Comic Book Guy. Some good laughs also come from Simon Pegg, who isn't given a lot of screen time but makes the most of what he has, and from Rylance, who gets the chance do something very different here than what we've come to expect from the venerable Shakespearean actor. Another wise change Spielberg and his screenwriters have made from the book is that, while the film is still a gamer's paradise, it's more accessible and enjoyable to non-gamers, and he recognizes that major sequences based on standing at a console and playing a video game would only allow every 80s kid to relive the most boring part of their childhood, namely sitting watching their friend Robby who was actually good at Spy Hunter played while they sat around watching and wondering when they'd actually get to do something. The effects are spectacular, and benefit from the fact that the CGI is supposed to look like CGI. Spielberg has given us yet another gloriously fun amusement park of a movie that's equal parts Willy Wonka, The Matrix and a version of Tron that's actually as much as you always hope "Tron" will be this time when you sit down to watch it again every 10 years. And while Ready Player One isn't exactly dripping with thoughtful subtext, Spielberg has put just enough emphasis on the theme of class warfare between corporate exploiters and the poor to give it a modicum of topical resonance. it's not going to be one of the deepest films of the year, but it's certain to be one of those most entertaining. It's a movie that's worth paying the extra fee to see in IMAX 3D, and one obsessive movie geeks like us, especially fellow Spielberg fans will want to go back and see multiple times to study the bearded one's technique and look in the background to see if we can spot ALF and vainly hope there's one other person whose '80s movie memories include Nate and Hayes and somewhere in the crowd there's a pirate whose peg leg is made out of a human leg bone and shrunken skull.